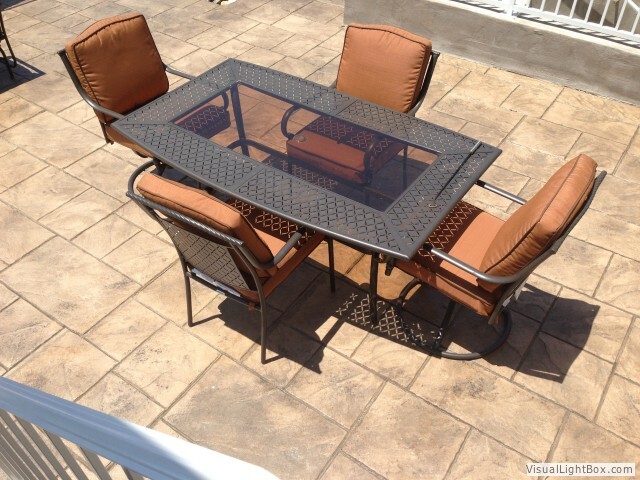 This is a page wherein we offer ideas on how to maintain your patio. 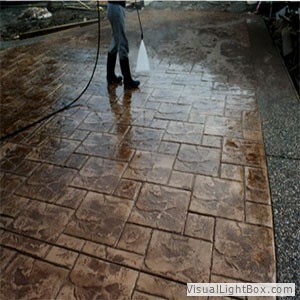 We ask that you use caution when caring for your stamped concrete. These items are highly recommended do to our experience in this field and our experiences through the years of issues we have seen in the field. 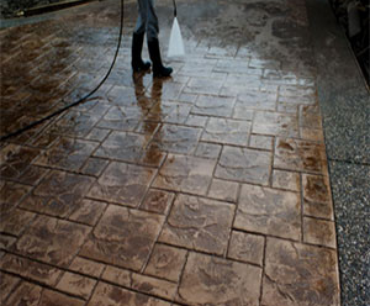 First and foremost, we ask that you DO NOT put ANY salt products on your new areas of work and/or stamped concrete. Please avoid using any unknown chemicals on these areas as this can ruin the integrity of the concrete, color and/or sealer. We recommend you use a broom to clear the area, especially during the winter months, to avoid any chipping or flaking of your sealer that would be caused from using shovels. We also recommend that you watch using any type of hard metal furniture or rough surface like items, (i.e. iron chairs/ grills without wheels etc.). 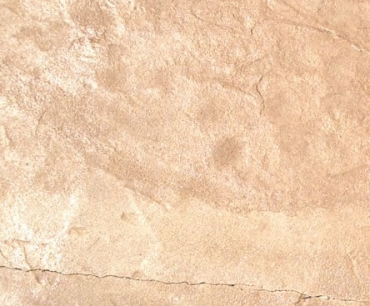 This is recommended to help avoid chipping the concrete or causing rust damage to the areas, because we are not always able to fix these areas if this happens, additionally we don't want you to be burdened with additional costs in fixing the areas. We recommend that you consider using rust free furniture or ensuring that your patio furniture be removed quickly during the wet seasons to avoid any rust stains. We recommend you do not put any planter like items (without bottom bases) etc., on the your new areas of concrete only because we are not sure of the chemicals that are in the soils of those planters and we can not ensure the sealer will protect from any damages these unknown chemicals may cause. Cleaning is easy, just hose or broom off any mess. 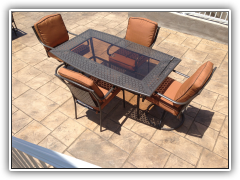 Sealing is recommended every 1-3 years depending on the conditions and location of your patio, (i.e. areas of sunlight, weathering, or traffic). 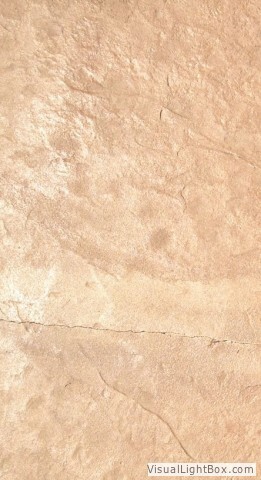 To seal the surface, it should be clean and dry, seal with a recommended sealer. Concrete settling and earth movement will cause cracking. We do take all precautionary measures to help illuminate this to include providing saw cuts to control or eliminate any cracking. Sometimes concrete will expand and crack within the control joint. In rare occasions, hairline cracks outside the control joint will occur. This is normal and does not affect the integrity of the concrete. Good run off is important to insure concrete stays in good condition. Water can be a big problem for concrete. Drain spout's are often the source of concrete problems, especially in the winter. 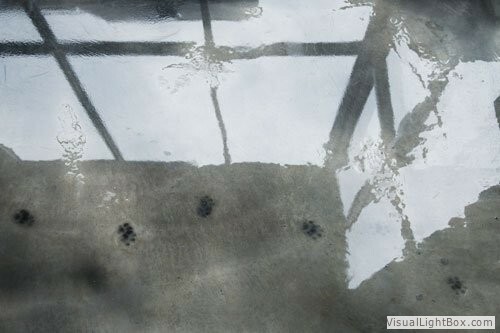 Water gets under the concrete and can cause "freeze and thaw conditions" which can cause concrete to lift and crack. DO NOT USE DE-ICERS. We ask that you only use recommended de-icers to make it easy to remove snow and ice to the hard surface, then spread it underneath which causes undercuts and loosens the snow and ice, to make shoveling easier. 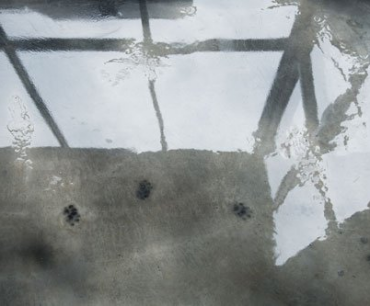 Ice melting chemicals can damage concrete surfaces if not carefully used. 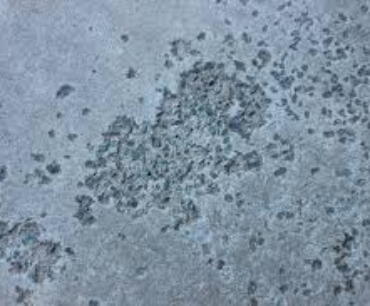 Concentrated amounts that refreeze on concrete after melting can cause damage. We recommend not using metal and or hard plastic shovels to move snow, we recommend using a soft broom and sweeping it. Sweep excess ice materials off concrete to avoid damage or problems. The most common winter damage is scaling and popping. 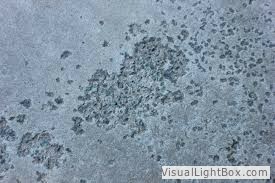 Scaling is small flakes of sealer and/or concrete that come loose from the surface by de-icers. We recommend using Calcium or Uria. We recommend when you first get your patio that you re-seal it after the first or second year, depending on the weathering it receives. Thereafter, we recommend every 3 years. We recommend cleaning it off with a hose while using a light/soft broom to clean it or a soft mop.